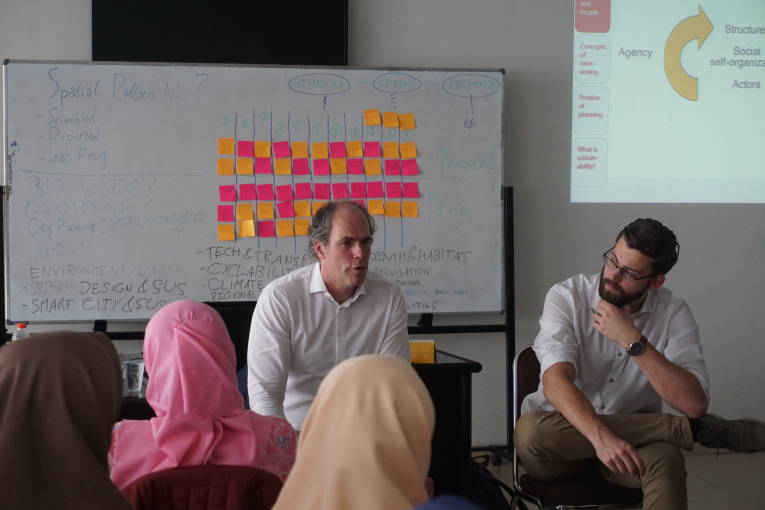 Faculty of Geography, Universitas Gadjah Mada in collaboration with the University of Groningen (UG), the Netherlands organize the summer course “Pathways Towards Sustainable Futures (PASF)” in Yogyakarta. The summer course will conducted from 7–11 January 2019. PASF activities are not only carried out in Indonesia, but also in Brazil and Netherlands with similar theme “Dutch Urban, Environmental, and Transportation Planning in Era of Turbulence”. In the beginning of PASF, participants are asked to make a poster containing the topics of urban, transportation, and environment according to their interests. All of PASF participants are then invited to take part in indoor and outdoor activities aimed at increasing their ability and understanding regarding urban and environmental issues to realise a sustainable life. Activities are designed in the form of participatory activities by involving participants actively in discussions on project preparation, on site fieldwork, and presentations. The University of Groningen through Dr. Terry Van Dijk and Robin Neef, M.Sc. as Associate Professor and researcher at the Department of Spatial Planning & Environment, Faculty of Spatial Sciences UG, will also insight the participants by sharing Netherlands program in realizing sustainable urban and environmental planning . The Dean of the Faculty of Geography (Prof. Dr. Muh Aris Marfai, M.Sc.) at the opening ceremony explained that this summer course is the first PASF summer course activity held in Indonesia and became the first part before being held in the Netherlands at the end of January. 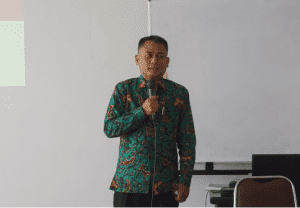 Head of International Office of UGM (Dr. I Made Andi Arsana), Vice Dean of Research, Community Service, Cooperation and Alumni of Faculty of Geography (Dr. Dyah Rahmawati Hizbaron, M.T, M.Sc.) 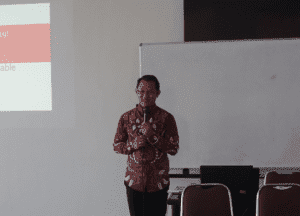 as well as the Head of Population and Economic Resources Laboratory (Dr. Sri Rahayu Budiani, M.Si.) attend the opening ceremony. The participants of PASF Part One in Yogyakarta consist of 61 students from Universitas Gadjah Mada, Universitas Indonesia, Universitas Brawijaya, Bakrie University, Institut Pertanian Bogo, Universitas Negeri Malang, Institute Teknologi Bandung, UPN Veteran Yogyakarta, Universitas Negeri Semarang, and Universitas Padjajaran. All participants who participated in this activity were previously selected from hundreds of participants from all regions in Indonesia. Furthermore, it is expected that participants can implement sustainable development through collaborative planning and projects in their regions.